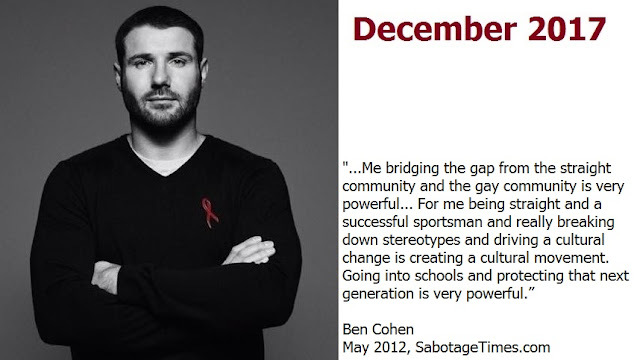 I was bullied for being gay throughout my childhood and the impact of its violence affected me greatly for many years. As a result, LGBT pride and anti-bullying initiatives are of great concern to me. When I was growing up I could not have imagined a world where any organization existed to help combat the bullying I was subjected to. 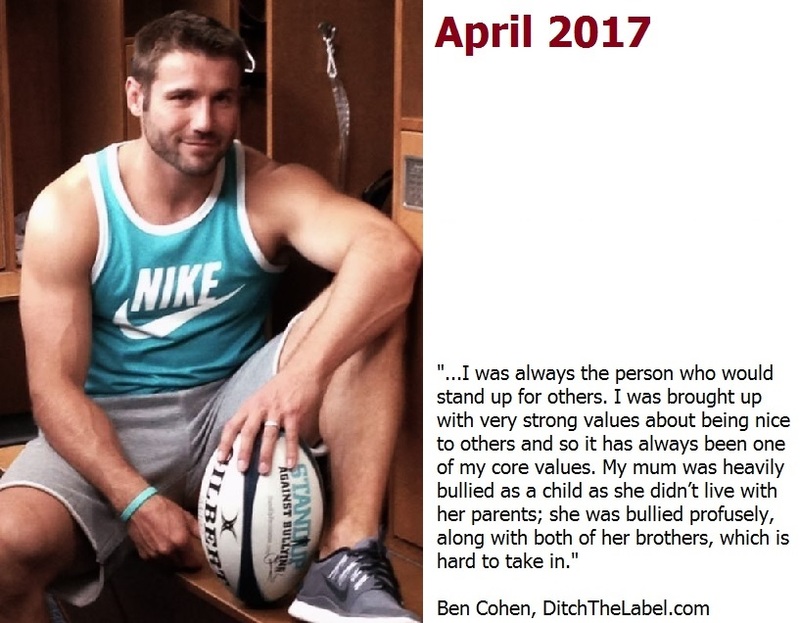 Today, one such organization is The Ben Cohen Stand Up Foundation, started in 2012 by former rugby union international and 2003 Rugby World Cup Winner, Ben Cohen. The Foundation's mandate is "...[to] stand up against bullying regardless of to whom it happens. We support organisations and projects that help stop bullying, help those hurt by bullying and/or help increase equality and diversity." 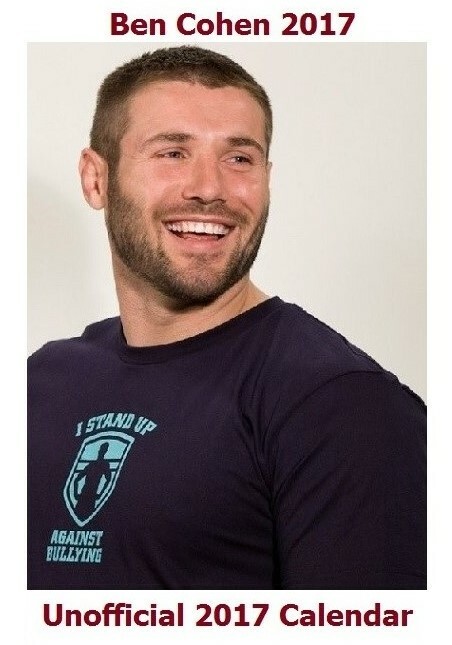 Some of the funds raised for the Stand Up Foundation have been achieved through sales of merchandise such as t-shirts and calendars. Ben Cohen first issued his own calendar in 2005 and it was an immediate success. 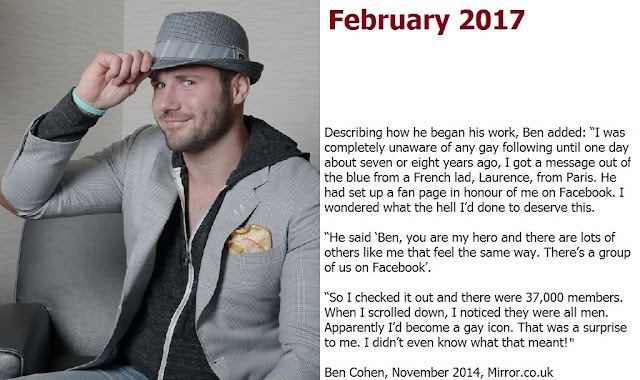 For Ben Cohen fans and supporters each new calendar's release became a widely anticipated event. 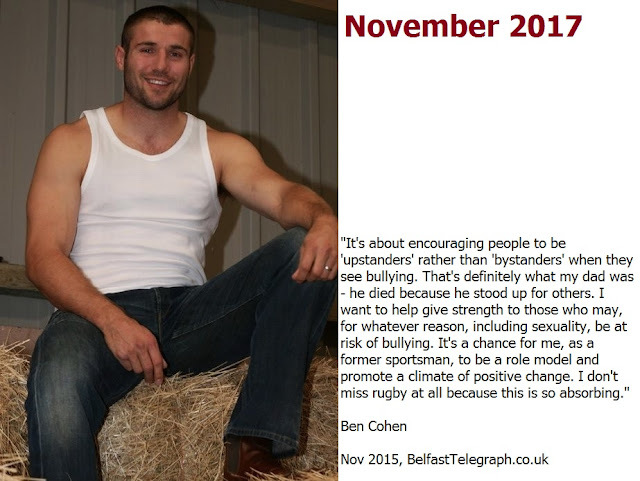 The result of connecting the handsome and personable athlete's calendar with the Foundation's anti-bullying message significantly increased awareness of the need to do more about bullying. 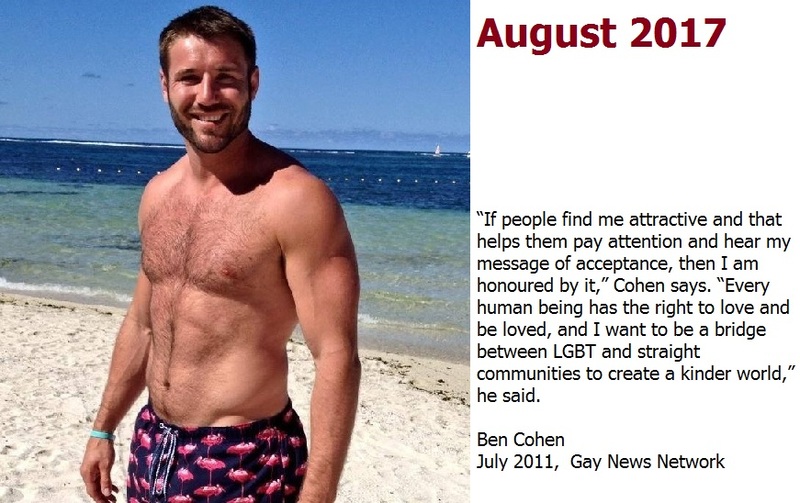 There was no 2016 Ben Cohen calendar and I feel that this was a lost opportunity to bring continued awareness to this issue. One of the ways we can create social change is by volunteering our time to an important cause. In this digital age we are able to use social media to share and promote our passions for advocacy. This is why I am taking the opportunity to use my social media to keep the focus on the work done by anti-bullying organizations such as The Ben Cohen Stand Up Foundation. Today, Monday, May 16, 2016, I am launching a campaign for a Ben Cohen 2017 calendar. The key to the success of any worthwhile endeavor is people coming together to raise awareness. 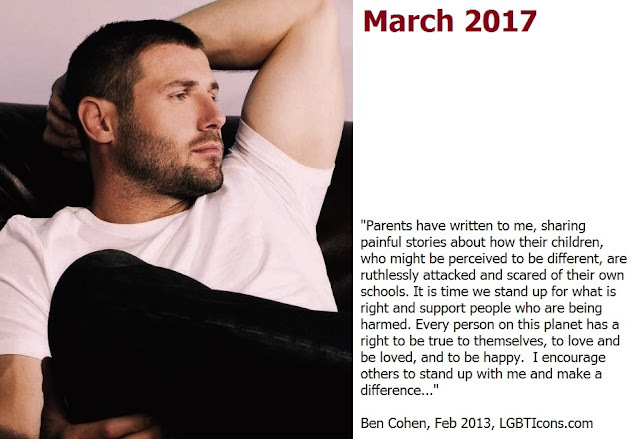 Please join with me and share this post on your social media channels (Facebook, Twitter, Instagram, Tumblr, etc) to help campaign for a Ben Cohen 2017 calendar. 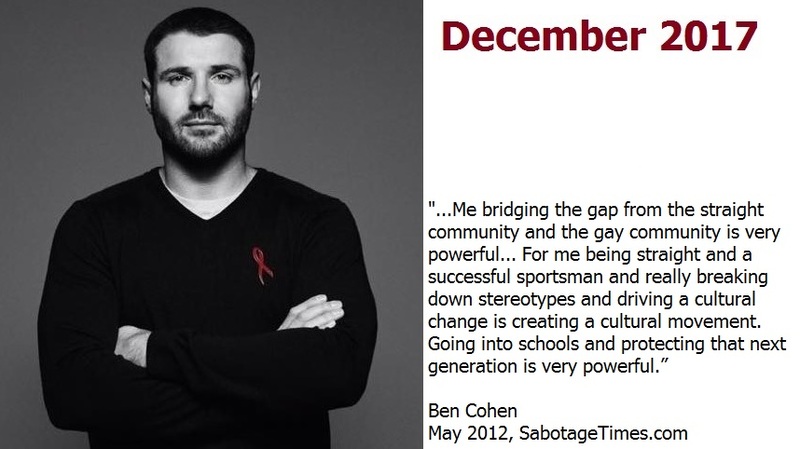 Together, let's respectfully encourage the "powers that be" at The Ben Cohen Stand Up Foundation to make this happen! Below is The Unofficial Ben Cohen 2017 Calendar that I created on Monday, May 23, 2016. Each calendar month was published on our Twitter. You can retweet your favorite month to all your friends! 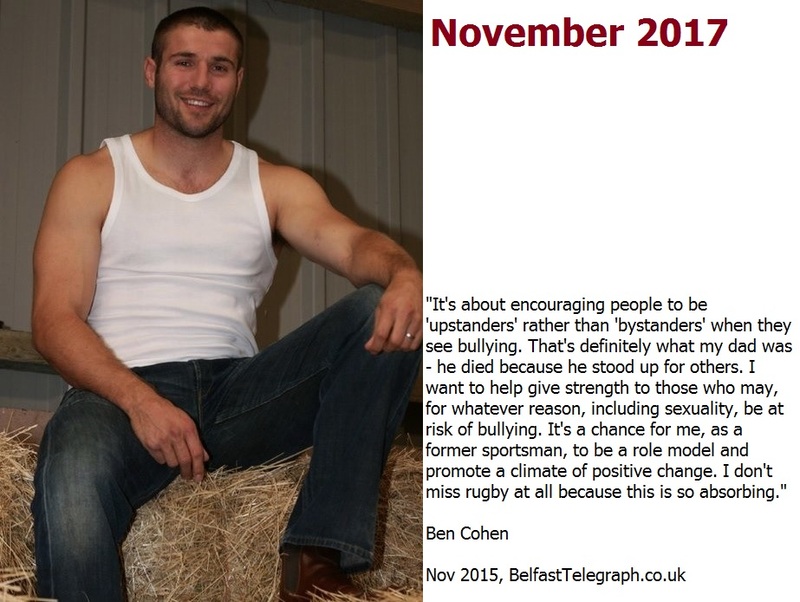 Be sure to respectfully contact Ben Cohen here to let him know how much you want an official calendar for 2017!